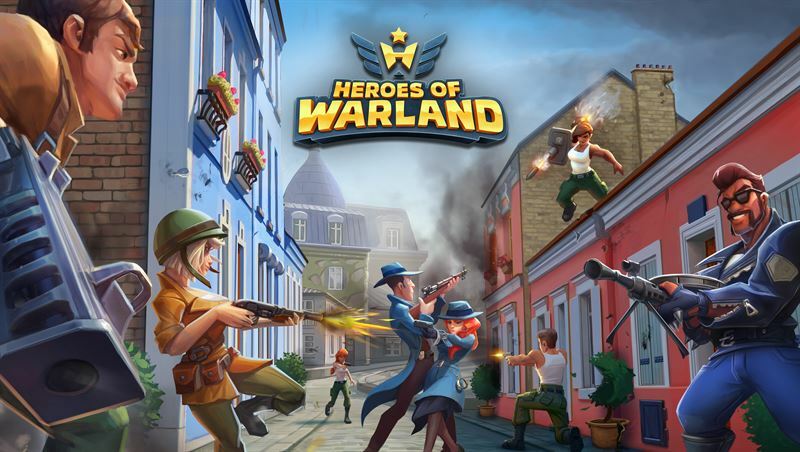 Nitro Games announced the public soft launch has started for Heroes of Warland in 7 countries on Google Play and iOS. “We’re proud to announce that we’ve just started the public soft launch with Heroes of Warland. Before this the game has been in closed beta testing and we’re now confident in expanding the game to early access testing in selected countries, on both Android and iOS platforms.” says Jussi Tähtinen, CEO & Co-Founder, Nitro Games Oyj. The purpose of this soft launch is to validate the game performance on selected markets while the team is finalizing the game and adding in new content. The game is now available on Android devices in Google Play Store and on iPhone & iPad in Apple iTunes AppStore, in Philippines, Ireland, Poland, Australia, New Zealand, Finland and Canada. The commercial hard launch is targeted for 2018 after the soft launch. This launch follows Nitro Games’ strategy where the company is building a portfolio of games to be self-published in the western markets and accessing other markets via publishing partners. Heroes of Warland is the second game in Nitro Games’ new portfolio, following Medals of War that was introduced last year. It has been developed with Nitro Games’ MVP –process, where the game development is closely tied to continuously collecting actual market data and community feedback, as the game is being further developed. Heroes of Warland is a team-based competitive multiplayer game on mobile. With Heroes of Warland, Nitro Games is introducing hero-based shooter game on mobile for the first time. This genre has been highly popular on PC. Hero-based shooter means that the game has several hero characters, each with own unique skills and abilities, offering a unique and fun team multiplayer experience previously unseen on mobile. This company announcement contains information that Nitro Games Oyj is obliged to make public pursuant to the EU Market Abuse Regulation. The information was submitted for publication by aforementioned contact person on 17 July 2018 at 09:00 (EEST).